The TMNT franchise has been alive and (mostly) kicking for more than 25 years...and whether your first exposure was through the comic books, the 1987 animated series, the feature-length films or otherwise, Kevin Eastman and Peter Laird's iconic green ninjas have enjoyed a plethora of pop culture portrayals. Like many kids of the 1980s, I found it impossible to resist the franchise's charms but wouldn't consider myself a lifelong fan: I pretty much quit cold turkey when the awful third live-action movie hit theaters. Since then, my only exposure to the franchise has been revisiting bits and pieces on DVD, as well as the stylish but underwhelming 2007 CGI film. 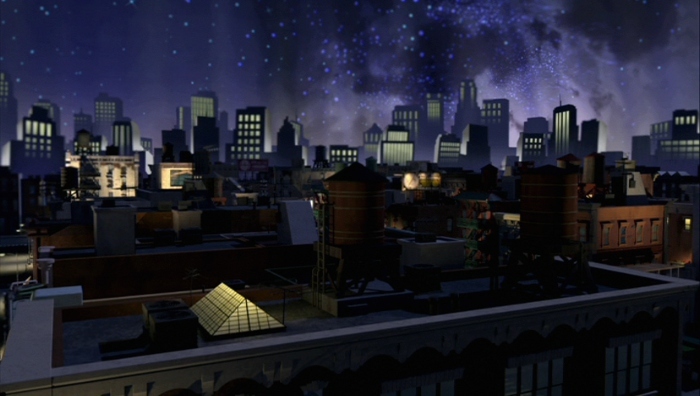 So, having never seen an episode of the 2003 animated series, I approached Nickelodeon's new 2012 CGI TV show blindly and with an appropriate level of caution. To my surprise, this new series delivers the goods in almost every department. I was prepared to hate it; after all, CGI revivals of beloved cartoon icons usually don't end well. Like most people my age, I could blindly profess a nostalgic, rose-colored affection for the 1987 series and tell those 2012 kids to get off my lawn. But Rise of the Turtles only collects the first six episodes of this 26 episode first season, and it's already won me completely over. It's as good as---if not better than---earlier seasons of the 1987 series on all fundamental fronts, so even the most passive amount of momentum should keep this series going strong for several years. New and familiar faces, including shout-outs for seasoned fans? Check. Plenty of action? Check. Juvenile humor? Present. Hell, most of the stories are even pretty damn good... and if nothing else, at least there aren't plot holes big enough to drive the Technodrome through. Like the well-received Transformers Prime, TMNT 2012 gives the franchise a fresh facelift, incorporating new elements into an existing universe without leaving die-hard fans out in the cold. 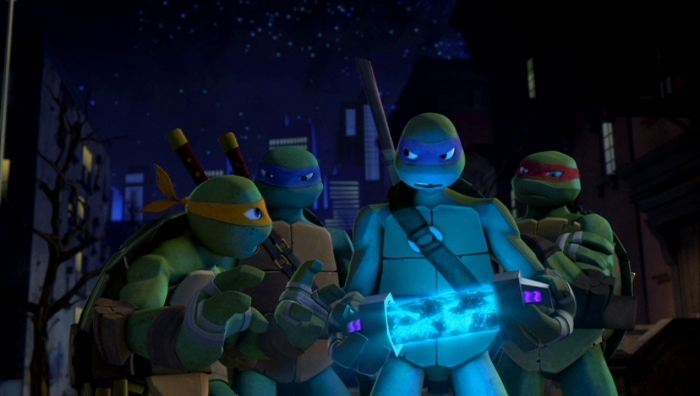 We're introduced to younger Turtles this time around: in the double-length pilot "Rise of the Turtles" (one of six episodes on this single-disc teaser for Season One), the fearsome foursome has just celebrated their 15th "birthday"; they're already seasoned martial artists but have yet to prove their worth as a crime-fighting contingent. Splinter is once again their father figure, yet his imposing figure emphasizes their youthful inexperience. April O'Neil is now the teenage daughter of a scientist, "The Kraang" are a deadly race of brain-controlled aliens and Shredder still lurks in the shadows. It definitely has an "alternate reality" vibe, borrowing bits and pieces from earlier TMNT incarnations while throwing in several new twists for good measure. "New Friend, Old Enemy", "I Think His Name is Baxter Stockman" and "Metalhead"
Though most of these episodes feel more like "monster-of-the-week" outings than chapters in a larger story, TMNT 2012 sets plenty of groundwork while serving up a renewed sense of character dynamics, visual flair and obvious respect for the source material. Of course, Rise of the Turtles's glaring drawback is that it represents just one fifth of Season One's proposed 25 episodes, and stopgap releases like this are nothing more than quick cash grabs. It's undoubtedly full of good material, but Rise of the Turtles will be obsolete if a full set is released later this year (and if not...well, that would be pretty bad business). Presented in an anamorphic 1.78:1 aspect ratio---despite the packaging's "Full Screen" claim---my only nagging complaint about TMNT: Rise of the Turtles is that it's not available on Blu-Ray (perhaps in time for the full Season One collection?). Other than that, this stylish production looks excellent from start to finish, boasting a moody color palette, strong black levels and only a few hints of banding and aliasing. 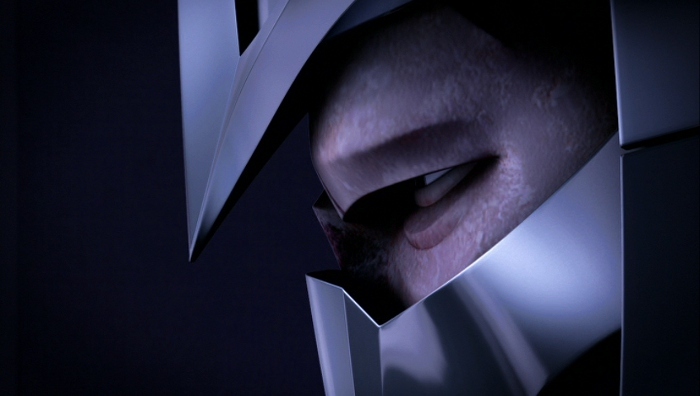 Image and texture details are also quite strong for a standard definition release, as little touches like scuffs and dents on the Turtles' shells and the metallic sheen of Shredder's helmet are nicely rendered. From top to bottom, fans should be happy...but again, pretty please for Season One on Blu-Ray! The Dolby Digital 5.1 track is also terrific, though it's odd that an optional 2.0 downmix wasn't included. Either way, TMNT regularly features plenty of subtle (and not-so-subtle) atmospheric touches, from the echoing dampness of sewer life to the steely clang of weapons striking one another. Dialogue is typically anchored up front and crisply recorded, while the sporadic music cues are dynamic but not overpowering. Unfortunately, no optional subtitles or Closed Captions have been included with this release. Seen below, the standard menu interface is basic but easy to navigate. 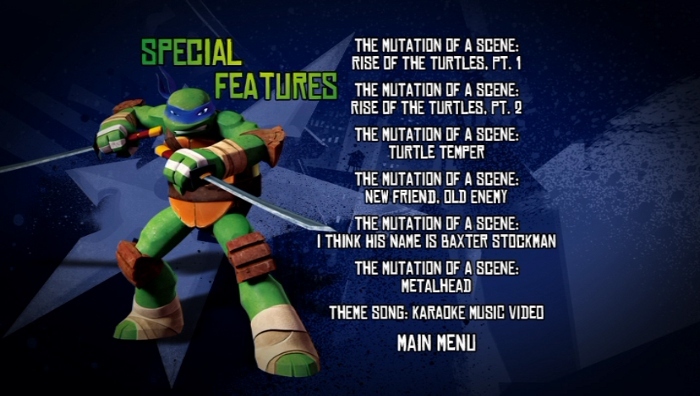 Episodes are divided into several chapters, though selection sub-menus are not present. This one-disc release arrives in a clear keepcase with an embossed slipcover and one of four inside cover designs. A fold-out Poster is also included. It looks like we get plenty of stuff to dig through up there, but the bulk of it amounts to a self-playing Storyboard Comparison for each episode (and two for the double-length pilot), dubbed "The Mutation of a Scene". These are pretty neat if you're interested in art and design, but they obviously don't provide much beyond a surface-level visual comparison. We also get a karaoke-style Music Video for the show's theme song, if you're into that sort of thing. In any case, there's not much of genuine interest here, as I'd imagine they're saving most of the good stuff for the Season One collection in a few months. As a childhood fan of the original 1987 TMNT animated series, I can still enjoy that version for its goofy time-capsule charm...and like many other nostalgic fans, I've been increasingly skeptical with each new reincarnation of the franchise. But this new CGI series has gotten off to a fantastic start, formulating its own identity with a great blend of action, old and familiar faces and plenty of juvenile humor. There are small parts that don't work quite as well, but it's been a while since any classic revamp has won me over so quickly. Paramount's DVD (again, no Blu-Ray?) looks and sounds great, but the lack of meaty bonus features---and, of course, the possibility of a full-season release later this year---will rightfully prompt most buyers to hold off until then. Otherwise, new fans should Rent It to whet their appetites.